Levitt reports that Tacopina wrote in a memo to Kerik on June 20, 2006, the day of Kerik's guilty plea to two misdemeanor counts, "We got everything we wanted." However, Kerik's troubles were far from over. Seizing on his guilty plea, federal agents began investigating Kerik, and ultimately indicted him on 16 counts of conspiracy and tax fraud. Next, the government disqualified Tacopina from continuing as Kerik's counsel based on the argument that he was a potential government witness. 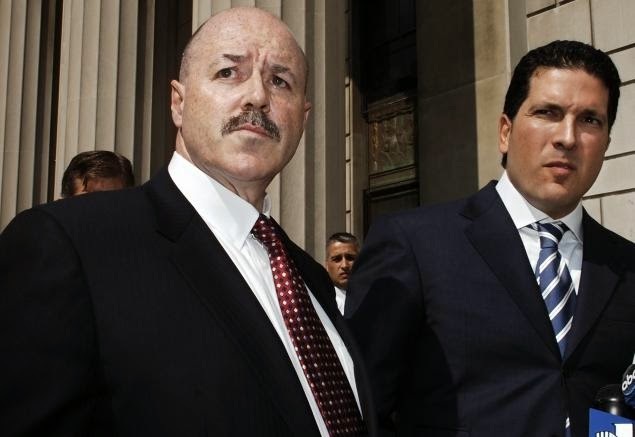 Kerik is now alleging in a lawsuit pending in federal court in New Jersey that Tacopina met secretly with federal prosecutors and handed them information about Kerik which was grist for the federal prosecution. The meeting, according to Kerik, came about during the course of a federal investigation into an alleged fee-splitting case involving Tacopina and attorney Ron Fischetti (which apparently went nowhere). It was then that Tacopina provided information that he presumably learned as Kerik's legal counsel. As Levitt says, the revelation is stunning. Should it turn out that Tacopina violated any of Kerik's confidences, his license could be in serious jeopardy, and his reputation would be severely damaged. It's bad enough to talk out of school, but it's unforgivable to sell out a client to prosecutors to save your own skin. Tacopina denies Kerik's allegations, and has counterclaimed for defamation, and brought claims against the Daily News, premised on the idea that the paper and Kerik conspired together against him. It is hard to imagine this case settling, since any agreement would suggest there's at least some truth to the allegations. On the other hand, an all out war could be potentially damaging for all concerned, particularly since Bernie has now waived his attorney-client privilege with respect to his communications with Tacopina. Levitt's piece contains further details and is well worth the read. Meanwhile, the lawsuit moves on. More information is hopefully forthcoming. Thanks for the info. Kerik can subpoena the records as part of the discovery process. Hopefully they're released. As someone recently remarked to me, sunlight is an excellent disinfectant. Hey Judd, I am not sure where you learned to practice law, but the rules forbid what you are trying to do and admit and you may be the one going to jail, or facing sanctions - NOW, wouldn't that a funny outcome...to a little worn cry baby snitch like you and the Adnois one :?? ?